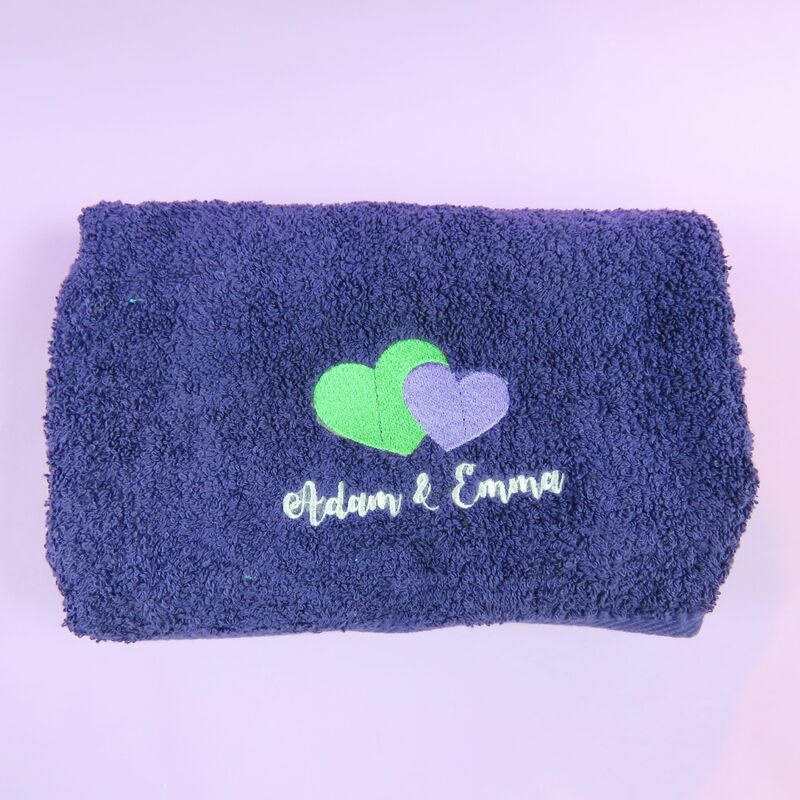 Fully customize your text: This embroidered towel can be personalised with a name, a unique message or a memorable date to make it the perfect gift for you or someone special, for any occasion. Long Lasting: The design is embroidered onto the towel using our fabulous embrodiery machine. This means it will last hundreds of washes and will never peel or fade. They are also machine washable. Embroidered towel: We stock black, white, teal, blue, purple and grey. The towels are bath sheets, approx140 by 90cm. Do you know someone who has just moved in together, or maybe you are about to move in with your partner and are looking for a gift you can both treasure for ever. Perhaps you are fed up of your favourite towel being used? Then why not get one of our towels so no one else will use it. Maybe you know someone who is about to celebrate their 2nd wedding anniversary and you are looking for a unique keepsake? Or you are looking for a gift for a child who loves swimming? Then look no futher. This is the embroidered towel for you. All our embroidered blankets are embroidered with love and care.